A day that forever changed St. Louis Cardinals fans. During fifth inning of Game 4 of Major League Baseball's NLDS Postseason game between the St. Louis Cardinals and the Philadelphia Phillies. Skip Shumaker was at the plate facing Phillies pitcher Roy Oswalt when suddenly the Rally Squirrel, who had caused an outfield interruption the night before, bolted across home plate. This time, however, play was not interrupted. After Umpire Ángel Hernández called the pitch a ball, the Rally Squirrel vanished into the stands. Oswalt and Philadelphia manager Charlie Manuel unsuccessfully argued Oswalt had been distracted by the squirrel and the pitch should be disregarded. Following the defeat of the Milwaukee Brewers on October 16 in Milwaukee, Cardinals teammates toasted the stuffed squirrel and showered it with champagne and beer to celebrate their NL Pennant, and opportunity to win the storied franchise's 11th World Series. The rest is history. 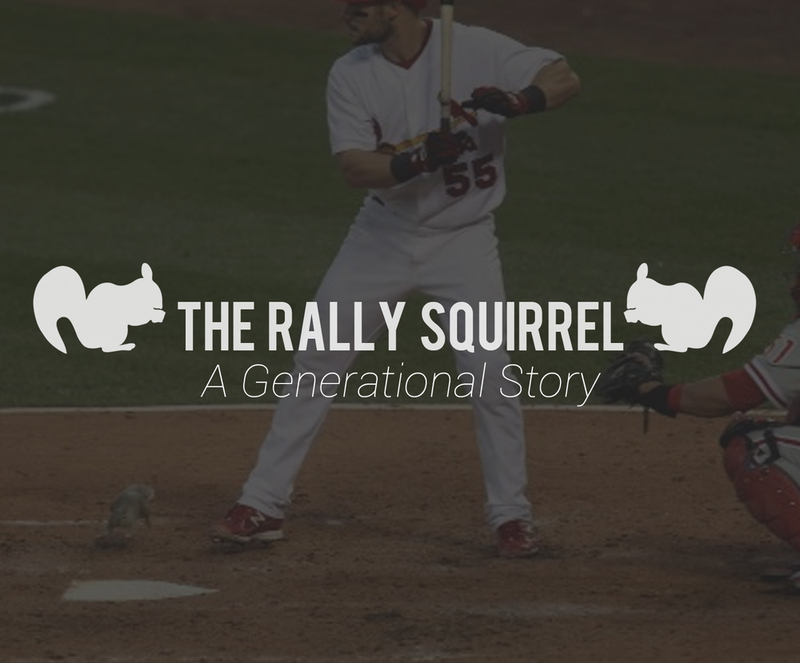 The Cardinals went on to win the 2011 World Series, and the story of the Rally Squirrel will forever be a staple of Cardinals baseball.